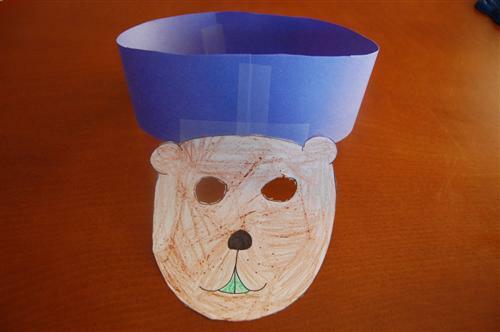 This is a quick little mask or crown to get your little ones in the spirit of Groundhog's Day. 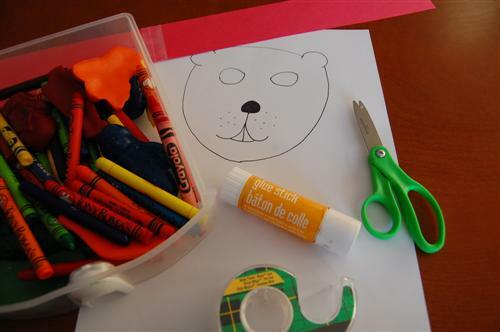 Cut out the groundhog mask template and colour it. Cut out eye holes if using for a mask. Glue the groundhog's face to the paper strip. Attach at groundhog's forehead for a mask, at his chin for a crown. Tape the paper strip together to fit around the child's head.